Of all the low- and no-calorie sweeteners out there, stevia is typically considered the most “natural.” Of course, that doesn’t actually make it healthy (arsenic is 100% all-natural), and it certainly doesn’t make it Paleo (cane sugar is also 100% natural, as the sugar industry is so fond of reminding us). So here’s a look at the research on stevia, the potential dangers, and the potential benefits. Overall, there don’t seem to be any credible reports that it causes any harm, and there’s a small amount of evidence that it may have some antidiabetic effects, but this is still very far from conclusive. The usual caveats apply about sweeteners keeping up the cravings for more sweeteners – Stevia is “Paleo” in the sense that any sweetener is “Paleo,” namely in limited amounts once in a while, not as an everyday thing. But if you want something sweet with no carbs or calories, then stevia is probably a pretty good choice. Stevia is a concentrated extract from the leaves of the stevia plant. The stevia plant comes from Paraguay originally, but it’s now being commercially grown in India and China as well. Some people even grow it in their own kitchens, and you can buy stevia plants online if you really want to get precise about source control. The stevia extract is very intensely sweet, over 300 times sweeter than table sugar. The sweetness comes from chemicals called glycosides, which make up about 15% of the weight of the raw leaves. To get the sweetener, manufacturers basically make tea with the leaves of the plant and then dehydrate the tea to get the powder that you shake out of a packet. As a whole food, stevia leaves have been used in Paraguay for generations without any problems, but the purification and extracting process is pretty new. So does the purification itself cause any problems? So far, there’s no real evidence that it does. As far as we know, stevia isn’t broken down in the gut, so it seems unlikely that it would cause any gut problems. For cancer specifically, this review found no convincing evidence that stevia and glycosides from the stevia leaf are genotoxic or cause genetic mutations. As for other harms, the most convincing evidence that stevia is basically fine might come from Japan. In Japan, artificial sweeteners have been banned for several decades, but after extensive clinical testing, stevia has actually been allowed in processed foods and sweet drinks. One of the big proposed benefits for stevia is its antidiabetic effects. The most obvious benefit is replacing refined sugar with something not-refined-sugar, but there’s more to the claim than that. A few studies have found some benefits for blood sugar control, but so far the sample sizes are pretty small and the evidence is still preliminary. This review goes over the potential benefits of stevia for diabetes, and suggests that they mostly come from antioxidants in the leaves. The leaves of the stevia plants contain various antioxidants like flavonoids and beta-carotene. But it’s important to distinguish between the leaves and the actual extract that ends up in your mouth: antioxidants in the leaf won’t do you any good if they’re lost or destroyed somewhere in the extraction process. 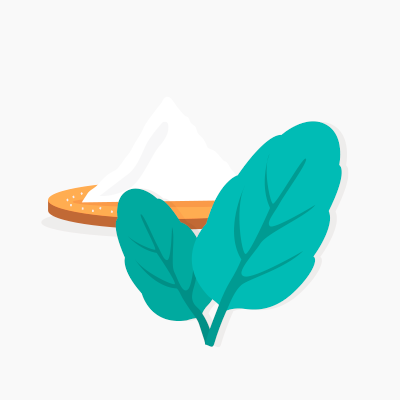 Aside from studies in rats and studies where subjects ate whole stevia leaves (presumably not what you’re going to add to your coffee), a few different studies have found that giving participants stevia improves their glucose tolerance. This study found that in patients with Type 2 Diabetes, 1 gram of stevia extract given with a test meal helped reduce the blood sugar spike after a meal, compared to 1 gram of cornstarch. 1 gram is about the amount in one of those little paper packages of sweetener. This study found that consuming stevia beforehand reduced blood sugar spikes after a meal, and that the test subjects didn’t compensate for the calorie reduction by eating more at their next meal. This study found that 3 days of stevia extract from 5 grams of leaves helped improve blood sugar control and glucose tolerance. We don’t actually have a conclusive explanation of why stevia has that effect. It’s possible that stevia helps reduce inflammation or increase insulin sensitivity by various other means. But most of this research is in animals, and it’s mostly still speculative; nobody really knows how it works in people. And a few fairly small studies definitely leave a lot of room for more research to be done; it’s not like the case is exactly closed here. This review also found some evidence that in the long term (1-2 years), stevia may help lower blood pressure, but that shorter studies (a few months) didn’t show any benefit. If you Try it, Be Careful. Not because the stevia itself is particularly dangerous. Because not every package that says “stevia” is actually pure stevia. If you’re going to buy and use it, watch out for what you’re actually buying. A lot of commercial sweeteners mix stevia with other types of sweeteners, so you might think you’re getting stevia but in fact you’re getting a bunch of stuff. For example, one stevia-based sweetener called Truvia also contains erythritol. Erythritol is a sugar alcohol that can cause digestive problems in people who are sensitive to it. So if you have a FODMAP intolerance, Truvia might be a really uncomfortable choice of sweeteners, but it’s not because of the stevia and it doesn’t necessarily mean that pure stevia won’t work for you. It’s the eternal problem of the middle aisles: there are diamonds in the rough, but read the labels carefully. Even if they’re sweetened with Stevia, these foods shouldn’t be a huge part of most people’s diets. If you’re looking for a zero-carb, zero-calorie sweetener, stevia is probably harmless as far as acute effects go. It may have some benefits for blood sugar control, but the research on this is still very new, and the sample sizes in all these studies were pretty small. In that sense, it’s as “Paleo” as any other sweetener. 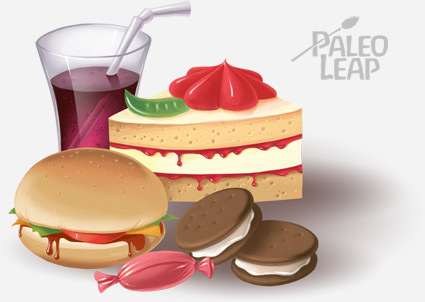 Paleo isn’t about recreating junk food with technically-approved ingredients, and the staples of the Paleo plate are vegetables and animal protein, not sugar or any of its substitutes. But there’s a place for occasional sweeteners, and stevia is a pretty inoffensive option for those times.